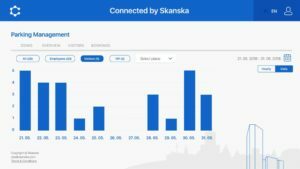 To ensure tenants and users have easy access to new solutions, Skanska has created an all-in-one operating system for office buildings and workplaces, which can be upgraded over time just like a smartphone. The solution will be implemented in Silesia Busines Park as well as in other new office schemes of the developer. Office developers have for years been struggling with the speed of new technologies, according to Skanska. While the innovation cycle in high tech lasts for around 18 months, the development process for office buildings still takes around five years. The innovative approach adopted by the company has made this struggle redundant. 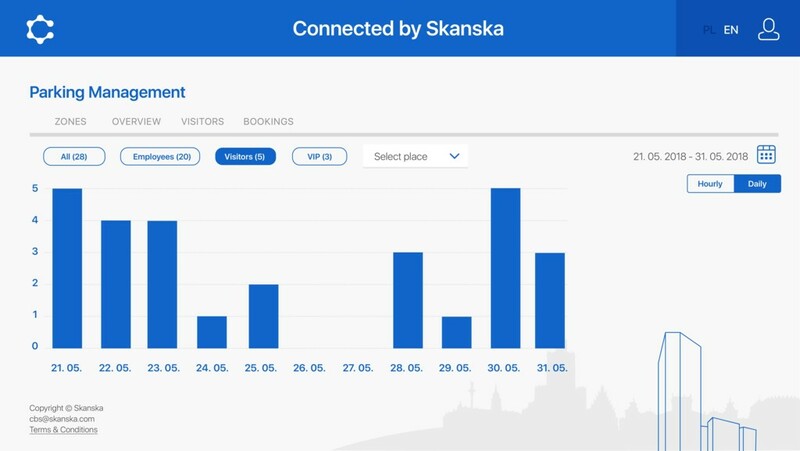 Connected by Skanska – the software for an office building – includes a mobile application for everyday users and a web portal for tenant & building administration. It works as an open platform integrating smart functionalities with a social approach to building a community in an office complex. Not only does it integrate the smart technologies of a building, but it most importantly connects people in a workplace. “Skanska’s ambition is to develop office buildings that will be functional for many years, regardless of the technological advancements. That’s why we have created solutions that work in similar way to smartphones – their features can be easily updated just like apps we all use every day” – says Renata Nowakowska, Innovation Manager at Skanska commercial development unit in the CEE region. Skanska claims that is the first developer in the CEE region that offers its tenants a “connected fit-out” option as an upgrade to an office space and an office administration system. Connected building – every Skanska office project will have a smart infrastructure, beneficial for all tenants, which links building functions, including activity-based parking, mobile access control, office space management tools as well as the virtual reception with a community aspect, such as social feed, public transport and a building guide. Connected fit out – this is an optional service for tenants, it includes such features as indoor positioning, room booking integration, and a work environment management & optimization system. Connected green – an optional service for tenants which includes green education and Skanska’s support in interior LEED and WELL certification. The initial implementations of the full Connected by Skanska package have been conducted in Warsaw. The first building from the Spark office complex is also the first fully connected building in the CEE region. In Katowice Skanska will implement the system in all four buildings of Silesia Business Park but it will be a basic version of the solution. However, it should be changed in the future. “Solutions that are now available at the Spark office building will ultimately be offered to tenants in all our new office projects in the CEE region” – says Renata Nowakowska. Smart building solutions provided by Skanska are not only useful to office buildings users but for office administration teams as well. First of all, they can manage office settings from one system. For example, they can change the access type for both plastic and virtual cards of employees, assign a parking spot for a VIP or send an important announcement to all users. “We are at the forefront of technological change. We build our solutions ahead of tenants’ future needs. At the same time we understand that the adoption of new technologies is a process. That’s why people using older phones or those who don’t want to follow newest solutions can still switch to traditional ways of using buildings, such as plastic access cards” – adds Renata Nowakowska. Tenants also have access to real-time data and historical data of office usage, which includes information about parking efficiency, office occupancy throughout the day as well as conference and meeting room availability. Using the data provided by the Connected by Skanska solutions, office spaces can be used in a more effective way and can be modified according to information obtained via the app. 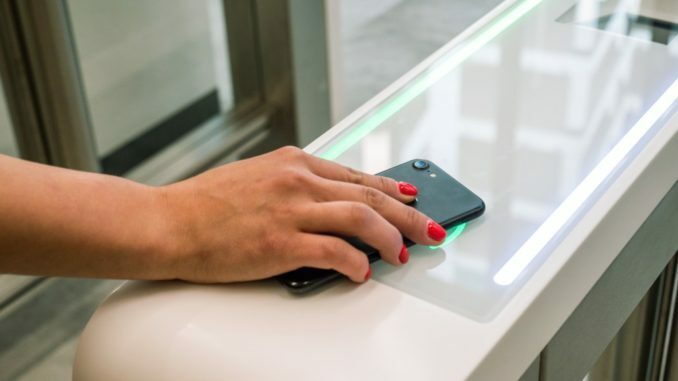 The Skanska commercial development unit in CEE developed the Connected by Skanska solutions package together with Sharry Europe (technological partner and IT developer) and Estimote (technological partner and beacon provider).